Mumbai City FC begin the fifth season in the ISL against Jamshedpur FC at the Mumbai Football Arena in Andheri on October 2. 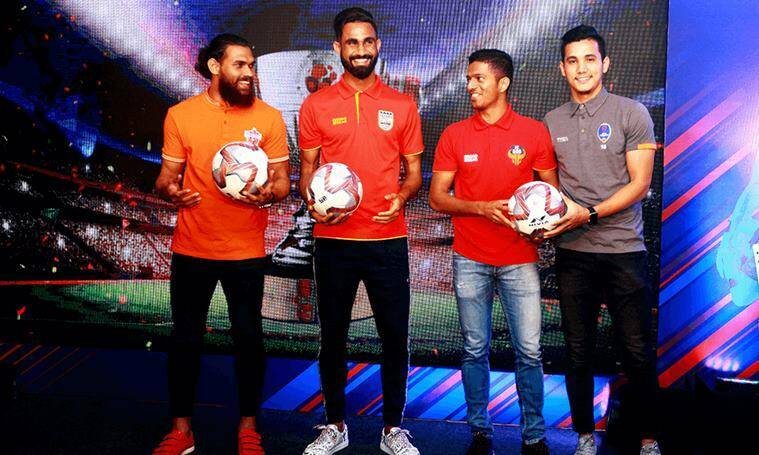 Mumbai City FC have a new coach and with that new dreams as they begin the new season of Indian Super League (ISL) after a lackluster show in the fourth season. The side has a lot of work to do as they go into the fifth season after standing seventh in the previous one. New coach Jorge Costa believes that they are ‘on the right way to do very good things.’ Former coach Alexandre Guimaraes joined in the third season of the tournament, taking the Ranbir Kapoor co-owned side to the playoffs in his first season. However, when the side finished a low seventh in the fourth edition, Guimaraes was replaced by Costa for the upcoming season. Costa’s primary task is to strenthen their defence after conceding 29 goals in a total of 18 matches the previous season. And that he did by signing experienced defenders Subashish Bose, Souvik Chakrabarti and Shouvik Ghosh in the squad. To strengthen the squad further, the former Porto player roped in Paulo Machado, Modou Sogou and Rafael Bastos as Mumbai City’s foreign players. The club’s goal this season is to make it to the top four after an impressive pre-season in Thailand which began with a draw against Chiangmai FC in a match that saw four goals in the last 30 minutes with a Bipin Singh brace. This was followed by 3-1 win over Maejo United with goals from Modou Sougou, Rafael Bastos and Alen Deory. The Islanders ended the pre-season with impressive wins against Lampang FC (6-2) and Bangkok United FC (3-2). Mumbai City begin the fifth season against Jamshedpur FC at the Mumbai Football Arena in Andheri on October 2.